We Have a World Cup Visitor! 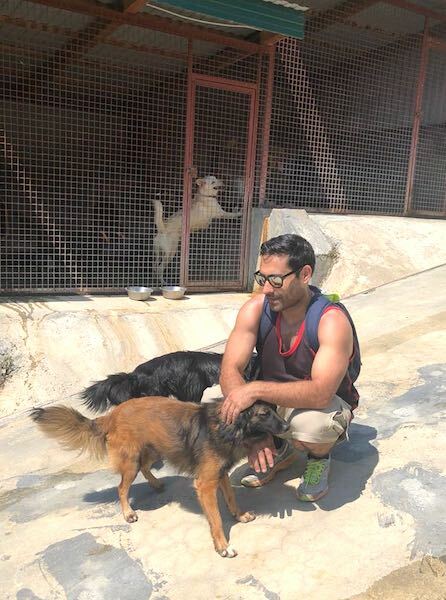 A couple weeks ago were lucky to have Darren who was in Sochi for the World Cup visit our shelter and spend some time with the dogs. After his trip he wanted to share his experience with everyone on the blog. Read it below. As a football tragic, I selfishly spend a lot of money going to World Cups every 4 years. At the Brasil World Cup 2014, I decided to “off set” some of that selfishness by volunteering and donating to a local dog shelter. A simple google search “dog shelter Brazil” got me in contact with “Dogs in Brazil” a local charity near Rio. I did the same google search in June this year when I was in Russia and I found Sochi dog rescue. Vlada, the founder, was amazing. 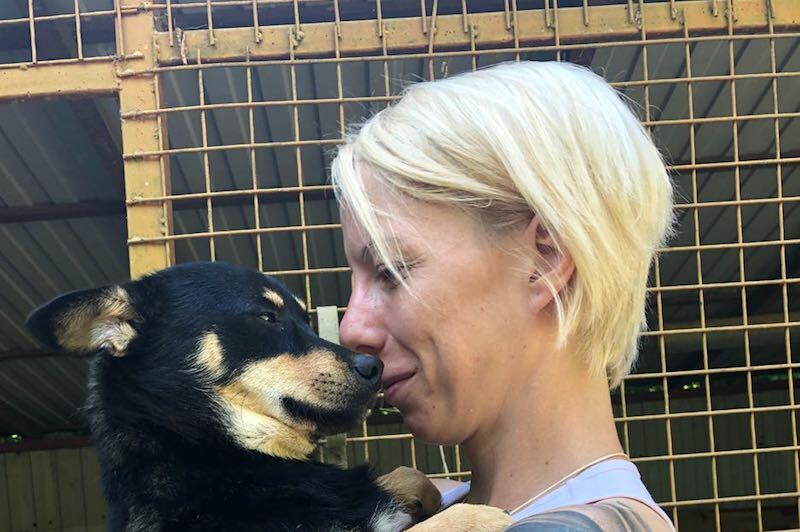 Her passion for the dogs is palpable and only matched by the lovely Masha and her Mom, Lena, who basically live 24/7 for the 50 dogs at the rescue. I was particularly impressed with the setup and the dogs looked very happy there. The setting of the shelter is amazing! If only the dogs could appreciate the sea view! I strongly recommend anyone to visit Sochi dogs, it was a highlight of my trip. On the night of 25 June, I was in a long queue to enter the FIFA fan fest in Sochi to watch a football match. At the corner of my eye, I saw a small black dog that appeared to be limping. He was about 100 meters away. My gut told me to investigate further to see if it needed help. But I was in a queue with friends and decided against my gut instinct. Through the match, my mind was not on the football, but this dog that I failed. I was not happy. A few hours later I and my friends sat at a restaurant nearby. As fate would have it, I saw the same black dog again on the road. This time I followed my gut. I told my mates to cancel my food order and I went to investigate. As I got close to the dog, he came happily to me, wagging his tail. He was clearly a pup, 3-4 months old and had only 3 legs. He wouldn’t survive long in the streets. So I called Vladka and she immediately came to pick him up. I named him “Caper”. I visited Caper a few days later and spent some short but precious moments playing with him. He is a gorgeous boy. 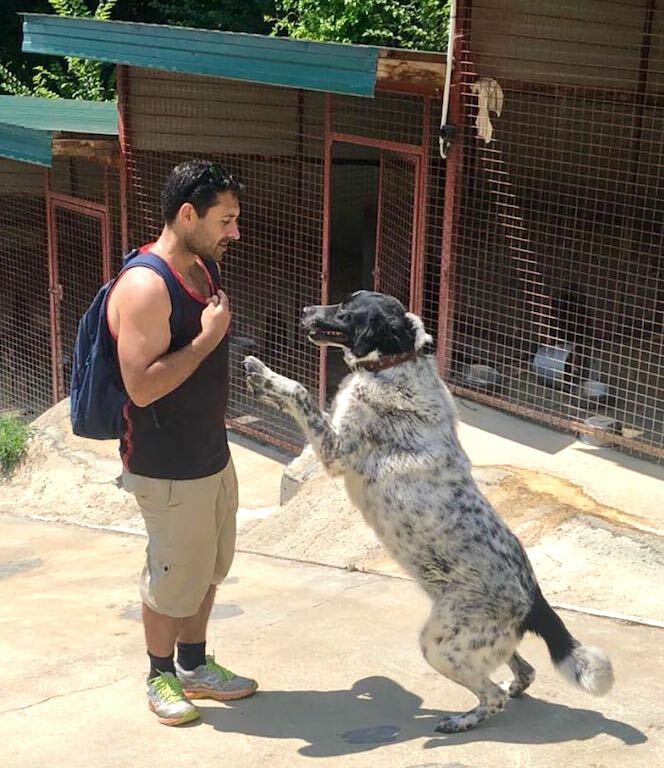 If Australia accepted dogs from Russia, I’d take him. But they don't. I hope he finds a forever home. His adopter will be one lucky person/family.